What date to get engraved on an anniversary gift? Answer: When you order a personalized anniversary gift you have the option to put whatever date you’d prefer, whether it be the wedding date or the date of that specific anniversary being celebrated. There is no wrong or right year to get engraved on the anniversary gift. If the gift is for a special anniversary, like the couples 25th or their 50th, it is more common to get that anniversary date engraved. So if their wedding date was July 2, 1964 and the couple is celebrating their 50th wedding anniversary on that gift you would get July 2, 2014 engraved on the gift. If a couple is celebrating their 50th wedding anniversary getting their gift engraved with the anniversary date reminds them of that special anniversary and how they celebrated it. Either way, it is sure to be a gift that will be cherished for years to come! Memorable Gifts provides more than just lovely personalized presents. 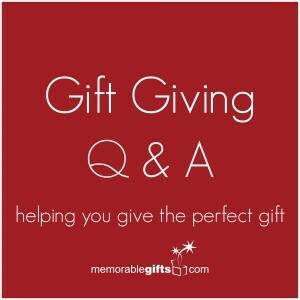 We are also your gift giving experts, here to provide the best tips and gift ideas for you from anniversary gifts to newborn baby gifts. There are gifts for each and every occasion. I think you can write down the date that one celebrating along with 50th Anniversary.. We received a a custom bracelet that was engraved with 50th Years of Togetherness and with dates on the inside..